How do you build a strategic plan for your company if you don’t have certainty about the future? That’s like laying the foundations of your house on a ground that might move or shift in the future. The reality is that every single decision in your organization is a choice under a degree of uncertainty; In practice what we end up doing is basing our choices on possible outcomes and best case predictions about where the future is going to go. We all agree that decision making should be based more on data and analysis than intuition and gut feelings. But there are two problems here: First, data may be difficult to gather. Second, data tells you about the past but gives you absolutely no indication about the future. So how to create data that will help you predict what is going to happen? Fortunately there’s a tool that you can use as a strategist that will help you predict the future and make better choices in the short run and long run. Did you say Scenario planning? Scenario planning is making assumptions on what the future is going to be and how your business environment will change overtime inlight of that future. More precisely, Scenario planning is identifying a specific set of uncertainties, different “realities” of what might happen in the future of your business. It sounds simple, and possibly not worth the trouble or specific effort, however, building this set of assumptions is probably the best thing you can ever do to help guide your organization in the long term. For example, Farmers use scenarios to predict whether the harvest will be good or bad, depending on the weather. It helps them forecast their sales but also their future investments. Military institutions use scenario planning in their operations to cope with any unlikely situations, anticipating the consequences of every event. In this case, scenario planning can mean the difference between life and death. Scenario planning might not have such dire consequences in your organization, but if not done, you risk opening the door to increased costs, increased risks, and missed opportunities. So how to use scenario planning? The idea is very simple: Scenario planning aims to define your critical uncertainties and develop plausible scenarios in order to discuss the impacts and the responses to give for each one of them. If you are aware of what could happen, you are more likely to deal with what will happen. As you can see from the above illustration, scenario development process holds 4 critical steps. After identifying the driving forces and critical uncertainties for the months or years to come, the goal is to develop 4 distinct scenarios that are most likely to happen. The best way to perform all of these steps is to organize workshops during which all the participants brainstorm together, it will help you find creative solutions. 4 scenarios, it’s not a lot compared to the multitude of possible scenarios but it should be enough to focus on the major issues at stake. To begin with, you should discuss what are going to be the big shifts in society, economics, technology and politics in the future and see how it will affect your company. Once you have identified your driving forces and made it a list, pick up only two (those that have the most impact on your business). For example, two of the most important uncertainties for agribusiness companies are food prices and consumer demand. The goal is now to form a kind of matrix with your two critical uncertainties as axis (see the above example). Depending on what direction each of the uncertainties will take, you are now able to draw four possible scenarios for the future. During this final step, you should discuss the various implications and impacts of each scenario and start to reconsider your strategy: set your mission and your goals while taking into account every scenario. Consider the example of the three Detroit automakers in the early 80’s. At that time, each company’s management teams wondered what the future would look like for their industry. As pictured below, they could have drafted then 4 plausible scenarios, depending on two possible uncertainties during those years: oil prices fluctuations and consumer values evolution overtime. Using scenario planning, they all predicted the “Long live Detroit” scenario in which the whole automotive industry would thrive. Unfortunately for them, they didn’t see far enough to predict the come of new competitors from Japan, which triggered off a big crisis in the automotive industry. As you may notice, scenario planning is more a subjective technique enabling dialogue within the company than a data-driven analysis and this is actually what gives it strength. A common trap is to be paralyzed by the multitude of possibilities. Don’t try indefinitely new combinations of uncertainties to build your scenarios. Keep it simple and focus on two major uncertainties. Another common mistake is to believe that you have to choose one particular scenario and build your strategy around it. Scenario planning is not about choosing just one option for the future but rather dealing with all of the possible outcomes to develop a strategy that will stand the test of all scenarios. Also, when developing your different scenarios, try to not look at the short term that is to say example at your existing market, products or competitors. Do not hesitate to look far ahead, anticipating what the market and competitors are going to be over the next years. In a word, be creative! Finally, “Scenario planning is A tool, but not the only tool to help you with your strategic planning. Focus on the vision of your company and use scenario planning to build a more robust future and vision “within” these alternative scenarios. As long you understand how to use scenario planning and how not to fall into these traps, there is no doubt you will feel more confident about which decision to make, which strategy to choose regarding the future. And if need be, SME Strategy can help you chart your path! 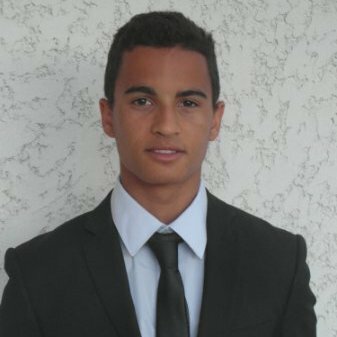 Jérémie is a French business student working with SME Strategy as Strategy & Marketing assistant. He loves helping entrepreneurs with their strategic issues, writing blogs and assisting with market research. He is also fond of sport, particularly water sports.